Entrepreneur India/Asia-Pacific is a license partner of Entrepreneur US, a website that connects to the millions of business owners who drive forward with ideas and innovations that impact us all. They are an unstoppable force inspired to lead, determined to define success by their own terms, and as passionate about work as they are play. These business owners have voted Entrepreneur.com as No.1 for the trusted source for “how-to” information, practical resources and tools. We are a Media Influencer across 8 countries and have launched the Asia Pacific wing this June. Franchise India Holdings Limited is Asia’s largest integrated franchise solution company since 1999, and an absolute authority on franchising and licensing. FIHL has helped hundreds of investors in selecting the right franchise and, in turn, assisted numerous organizations in international and domestic franchise expansion. Knowledge, Opportunity, Network and Success are FIHL’s key ingredients. 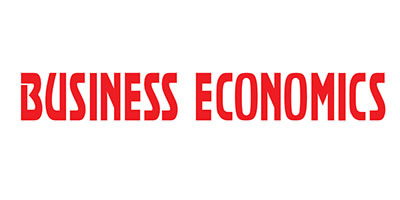 Business Economics, a premiere fortnightly Business magazine published from Kolkata since 1995. The magazine covers various topics such as World, Nation, Economics, Stock Markets, Culture, Entertainment, Children & Youth, Health, Women and Enlightenment. siliconindia magazine is a technology magazine published from Bangalore. It serves as a platform for CIOs, CISOs, CXOs, IT Heads, Startups, Technology professionals and VCs of the industry to share their expertise and in turn help their contemporaries in building their IT strategy. Over five million Indian professionals have joined siliconindia network to meet and seek advice from Indian experts in their chosen fields. While doing so, they also share their accomplishments and “gyan” with fellow Indians. siliconindia’s strong editorial team reports on Business and Technology news for their network members and visitors and they are one of the biggest producers of technology news in India.